This facility is known as a scary house, where a scary family lives. But the members of the family have completely different point of view. Help them to open a hotel! Henry, Ryan and their little sister are living in a house, which other citizen try to avoid. This is all because their reputation and scary look. 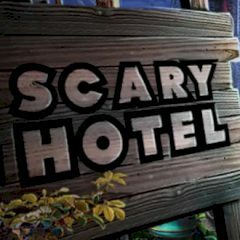 The house looks like it has some paranormal activity inside, but that doesn't stop them from running a hotel.